We need YOU to help us reach our 2019 technology goal! As a STEM school, it is important that we provide essential technology tools for our learning community to be successful. In order to keep our 275 students and staff, online we must update and optimize the existing network infrastructure. The current hardware does not sufficiently meet our needs to deliver access to high quality digital content, allow connections to experts around the globe, and meet the requirements of a 21st century education. Join us to reach our goal of $10,000. Your gift of $50, $100, $500 or $1,000 will make a significant impact for our students! 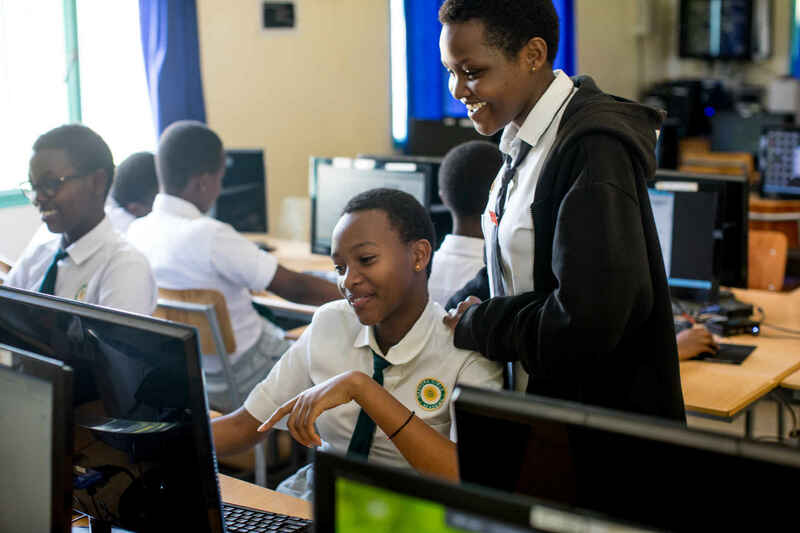 Gashora Girls Academy of Science and Technology (GGAST) is an all-girls boarding school, founded to reduce the barriers to education for young women. Our model school emphasizes rigorous academics combined with 21st century skills, including critical thinking, communication, and self-advocacy. Graduates succeed in advanced studies at local or international universities, and ultimately will be key contributors in the labor market. Gashora girls are confidant young women who will contribute in important and meaningful ways to the success of their families, their communities, and the country. I have watched RGI grow up since the first shovel hit the ground. I am so impressed with the impact RGI has had on the students and our world! As a teacher myself I know how necessary it is for the students and faculty to have access to updated technology. Keep up the amazing work. I am retired now so funds are tighter but I believe in your school and girls!